Hard working, strong, down to earth, reliable, courageous, quiet, loyal, intelligent, helpful, self-confident, easygoing & brilliant in organizing. A natural-born leader who works systematically though can be a little slow. Is responsible towards family and believes in authority. Sometimes may be too stubborn and not open to changes and new ideas. 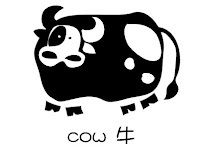 People born in the year of the Ox are said to be offending the Grand Duke (Tai Suey). Financially, it is not an optimistic year. They should avoid putting their money in high-risk investments. They have to be cautious when engaged in business; they must clearly read and double check any contract or documents before signing, Apart from this, they should avoid lending money to others. It is lucky that there is a Creative Star that shines bright; if Oxen are smart enough, they can still earn abundant money within the year. In love affairs, single ladies should be cautious and not fall into a love trap. Married couples should reach a mutual understanding to avoid quarrelling. Regarding health, they should keep away from sharp objects and practise road safety. Pay special attention when driving in the highway; try to avoid talking on the phone. Try to avoid any dangerous sports. The young generation, especially, should avoid too much nightlife. Rebellious and dynamic but loyal, a natural leader, champion of liberal causes, overwhelmingly generous, has irresistible magnetism, likeable with traces of vanity, great protector, daring, passionate, courageous, highly sensitive, quarrelsome, active, self-assured, stubborn, quick tempered but considerate and likes freedom. It is a good year for Tigers to develop their business. Due to the shining of the lucky star, it is lucky for them to work abroad. On the other hand, due to the influence of the lonely star, they have to be careful to handle relationships with clients, colleagues and benefactors. Money luck is quite promising and stable. It is important that they be more conservative in handling their work or business, thinking thoroughly before they act. In love affairs, due to the romantic star under the sign, single female Tigers may meet their dream lover and may get married this year. Married Tigers will have the chance to have a newborn baby in their family. Because of the presencef the sickness star, Tigers should be conscious of personal hygiene and watch their diet. It is important that they should have enough sleep and do proper exercise. Clever, tender, sensitive, peace-loving, mellow, concerned, understanding, sympathetic, industrious, generous, intuitive & sensitive. Pleasure to have as a friend, thrives in good company, entertaining, charming, good taste, conventional & refined lifestyle. Happiest & most content of the Chinese Zodiac. Intelligent in business with great determination and creative ideas but easily gets into different moods and is sometimes proud and indifferent. Rabbits will face many challenges and their luck fluctuates throughout the year. They should not rely on others too much. Financial situation is not optimistic; and they have to keep in mind that they need to double their effort at work. It is important for them to cut costs and try to find other sources of income. This is not a good year for them to start their own business, or to switch jobs. In love affairs, single Rabbits should not expect too much--it is better to concentrate on their work. Married Rabbits should treasure their love life and try to be patient with each other. Rabbits should avoid going to funerals and wakes. If they work in construction, they should be extra careful. Apart from this, they have to pay attention to their personal hygiene and diet. Independent, enthusiastic, intuitive, shrewd, successful, daring, materialistic & very lucky. Talkative, tactless, artistic, flirtatious, idealists & perfectionists. Dragons represent strength, health & good fortune. Dragons can be stubborn and impulsive, somewhat proud & has a sense of superiority with a quick-temper but always attractive. This is a lucky year for Dragons. They will have the chance to change careers, or start their own business. Dragons should be careful in handling relationships; try to avoid gossip. Money luck is quite good; but it is easy come, easy go. Dragons should grasp the good opportunity during the lunar months of March, June, September and December to invest, in order to reap good harvest by year-end. Love affairs are not promising. Married couples may quarrel more, so they should respect and honour each other. Single Dragons should not expect too much in love—they should not trust people too easily. Health is quite good this year, but a little sickness cannot be avoided. Overall, this is a peaceful, stable but a very gossipy year for Dragons, so they have to careful with what they say. 1929, 1941, 1953, 1965, 1977, 1989, 2001. Well-bred, attractive & irresistible. Philosophical, calm, intelligent, mysterious, emotional, intuitive, possessive and flirtatious. Admired for their helpfulness, generosity, wisdom and gentleness but sometimes self-critical. Sentimental and romantic with a subtle sense of humor. Naturally lucky but should not be provoked since is a vicious loser. While the luck of the Snake may not be so good this year, it is lucky that there is a Creative star under the sign, escorted by both the Treasure star and Promotion star. It is especially lucky for Snakes who work in the Arts or Entertainment—they can find many ways to exhibit their talent. Overall, this year is luckier for male Snakes than the female Snakes, so female Snakes should not be moody. It is important that they have to do more for charity within the year to balance their luck. Money luck is very good because of the presence of the Treasure star; they are able to manage their finances well. Business is quite optimistic, but they must be cautious when engaging in contracts; otherwise they may be involved in a court case. In love affairs, single Snakes may not dream lovers this year. For those who are dating for a certain period of time, this year is a good year for them to get married. Well-groomed and looks terrific. Cheerful, charming, entertaining, diplomatic, amusing, cunning, popular, extrovert and commands admiration and respect. Loyal, hard working, independent, energetic, inconsistent, impatient, subjective and egocentric. The Horse’s luck is bitter first and sweet later. Hard work will have fruitful results by year-end. Money luck is pretty good and better than last year, but they should not put their money in high-risk investments. To remove the influence of the Losing star, they have to do charity. Apart from this, they have to save money for unexpected expenses. It is not a good year for them to start a new business with their partners. In love affairs, the romantic star shines bright. Married Horses should keep away from temptation and avoid extramarital affairs. Single Horses will have chances to meet their dream lover in social gatherings, but they should not fall in love immediately. For those have been dating for years, this is a good year to get married. They have to be patient and calm to avoid conflicts with people, and risk getting injured. Apart from this, they have to pay special attention to their personal safety, try to avoid dangerous sports and be wary of any hidden sickness. In the family, they have to pay attention to the health of their family members. Honest, sincere, creative, peaceful, artistic, playful and amorous. Good natured and generous, but sometimes can be undisciplined and irresponsible. Often feels gloomy and discontented, is also indecisive and at times too passive. Renowned for their grace and creativity and likes luxury. With their fluctuating luck this year, Goats should be flexible to cope with sudden change. Basically, this will be a rough year for Goats. They will be surrounded by rumours and envy, so they have to be patient and keep a low profile. They should take this challenge as part of their life, i.e. be patient while in darkness waiting for the sun to come out. It is important that they should not put a finger in every pie; they need to concentrate and work with their whole mind and whole heart and strive continuously to make new progress at work. Goats may lose money because of spending, but it is important that they should not act as a guarantor for friends or relatives. In love affairs, Single Goats should be patient with their lovers. If not, they will end in separation. Married Goats should reach mutual understanding with their partner. Goats have to keep away from sharp objects and be cautious on the road. They have to control their diet as well and regulate their blood pressure and prevent stroke. Apart from this, they should not go to funerals and wakes. Lively, quick-witted, amusing, vain, resourceful, intelligent, sensible, unconventional, inventive, mischievous, innovative, independent, a fast learner with good memory, good in social skills but can be selfish and egoistic. Good at problem solving, ambitious, but prone to laziness. There are two luck stars shining bright upon the Monkeys; their luck is in the upswing. It is a good year for them to exhibit their leadership. Everything goes smoothly, and they can reach their goals without so many difficulties. A promotion at work is also possible this year. Money luck is quite good, so they should grab this opportunity to maybe start their own business. With their leadership and communication skills, they are able to succeed over the competition. However, they have to beware of the “Spending Star” which is under their sign that will cause them to lose or spend a lot of money. In love affairs, it is a romantic year for Monkeys. Single Monkeys should travel, as they may meet their dream lover. It is a good year to get married for those who have been dating for a certain period time. Married couples will enjoy happy events in the family cycle, but they have to keep away from temptation. Regarding health, they should avoid going home late in the evening and avoid going to funerals and wakes; otherwise they will easily absorb the negative energy. Apart from this, they should pay attention to their personal safety, and to their diet and exercise routine. Courageous, generous, entertaining, popular, protective, resourceful, unrealistic, capable and confident with good communication skills. Prone to boast and exaggerate. Dramatic but reputable people who work systematically but does not like routine. Takes good care of their family & can always succeed in the end. Roosters are compatible with the Oxen, so their luck is pretty good. They will have more confidence in handling their daily work. Money luck is pretty good; it comes from all sources and prosperity in business. Working employees will have the chance to get a promotion. In love affairs, it is time for the single Roosters who have been dating to get married. Married Roosters should spend more time with family. Health-wise, they should keep away from sharp objects, be careful on the road, and avoid all dangerous water activities. They should try to avoid eating too much grilled or deep-fried food. 1922, 1934, 1946, 1958, 1970, 1982, 1994, 2006. Loyal, honest, discreet, helpful, dependable, devoted, dignified, respectful, attentive, philosophical, bashful, cynical, not very adventurous, responsible, sensitive, practical, deep sense of justice, moral, trustworthy and imaginative. They are trustworthy and generous. Dogs are in conflict with the Oxen, so their luck is down this year. They should know that this is a tough year for them and they will face many challenges and obstacles at work. It is not a good year for them to change careers. They have to keep low profile. It is important that don’t take any risk to challenge the law and instead try to be patient and humble to avoid any conflict with their superiors. They should be brave to face challenges and strive vigorously to improve themselves. Money luck is promising. They will have reasonable profit in investments, but not from gambling or risky ventures. Apart from this, they should keep in mind that they should not rely on others too much. It is not a fortunate year for them in love matters; they are quite emotional and sensitive this year. Dogs should be active in social gatherings and communicate more with friends. Single Dogs should pay attention to the people around them; they might have unexpected surprise in love affairs. For those have been dating for a certain time, it is the best year to get married. Due to the influence of the conflict star, Dogs will be so stressed at work. They have to beware of headaches and digestive problems. It is important to do more exercise to keep away from sickness. Courageous, gallant, courteous, innocent, gullible, naïve, peace loving, defenseless, trustful, honest, correct, pure, sincere, very devoted, sensitive, indulgent, sensual, cheerful, generous, tolerant, hates quarrels, fortunate and not good in handling money but can be a perfect friend. This is a busy year for Pigs; it is a year of change and movement. It is lucky for Pigs who are engaged in tourism, airlines, transportation, logistics, hotels and marketing, among others. They will face many challenges and stress at work. It is not the right year to expand their business; they have to double their efforts to fight for their survival and success. Financially, money luck is still good and they can maintain their actual strength, but they must be careful in handling their investments. The biggest concern of the year for them is not to earn more money but how to save money. The romantic star is weak. They should try their best to be friendly with the people around them. Apart from this, they should pay attention to the health of their partners and spend more time with their family members this year. Regarding health, they have to keep away from sharp objects and keep away from water sports to avoid accidents. They should check on any water leakage in the home. Apart from this, personal safety and road safety cannot be neglected, and they have to pay attention to the health of the eldest member in the family. Elegant by nature. Clever, intelligent, ambitious, determined, seductive, pleasant, playful, generous, alert, suspicious and resourceful. Loves intrigues, riddles and games. Connoisseurs of art. Good business acumen. Cannot resist bargains. A true opportunist just to reach their target. Rats are compatible with the Ox this year, so things will be quite smooth throughout the year. They can consider expanding their business. On the other hand, due to the antagonistic stars falling under the sign, they might face some small obstacles and problems. It is important that they have to keep quiet, and mind their own business; otherwise they will be isolated. This will be a profitable year for Rats. The more they work, the more successful they will be. They must watch out for business traps and should save money for the rainy days. They can consider putting their money in a stable investment, or they can consider buying property this year. This is a romantic year for Rats. They will have a very good chance of meeting friends or their dream lover; so single Rats should pay special attention to the people around them. If they already have a partner, they should consider to get married within the year. Married Rats should avoid indulging in sensual pleasures and keep away from temptation. They won’t have any major problems in health this year. Of course minor sickness cannot be avoided. It is important that they learn to relax more, do more exercise and be mindful of their diet.